Dr. John A. Grossman has made a profound impact on the lives of his patients for more than 30 years. His artistry and commitment to individualized success for patients have earned him a reputation as one of the nation's premier aesthetic plastic surgeons. He attended the prestigious Cornell University Medical College in New York City, and completed his surgical residency in Boston at Harvard Medical School. After completing his plastic surgery residency at the University of Colorado, he opened his private practice in Denver, Colorado in 1975 and in Beverly Hills, California in 1984. Dr. Grossman is certified by the American Board of Plastic Surgery and the American Board of Surgery. He is a member of the American Society of Plastic Surgeons, the American Society for Aesthetic Plastic Surgery and the American Society for Laser Medicine and Surgery. In addition, he remains actively involved with numerous other professional organizations and hospital appointments. Dr. Grossman has earned great respect publicly. He has been spotlighted as a guest speaker on CNN, NBC, CBS and ABC television. 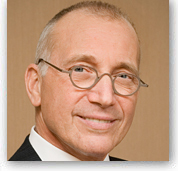 Dr. Grossman lectures extensively and has authored many articles for both professional and lay publications. He was recognized in Town and Country (March 1999) magazine's Directory of Top Cosmetic Surgeons in the U.S., and repeatedly in Denver's 5280 magazine as one of Denver's best plastic surgeons.